· And use technology to enhance their learning, communication and problem-solving abilities. I hereby agree to actively encourage and support my child / children in partaking in the spiritual programme set from time to time by the college, fully and with sincerity. I understand that at present this includes activities such as morning prayers each day, classroom prayers and devotions, weekly College Liturgies, College Eucharists, and community service projects. I also agree to actively encourage my child / children in the development of Christian attitudes and the demonstration of Christian behaviours. I hereby agree to actively encourage and support my child / children in partaking fully of the Curriculum as set from time to time by the College. I understand that this includes the standard curriculum prescribed by the NSW Board of Studies with the addition of the compulsory subject Christian Studies and participation in the College’s sports programme. I understand that every school must have clear rules and consequences for breaking those rules. 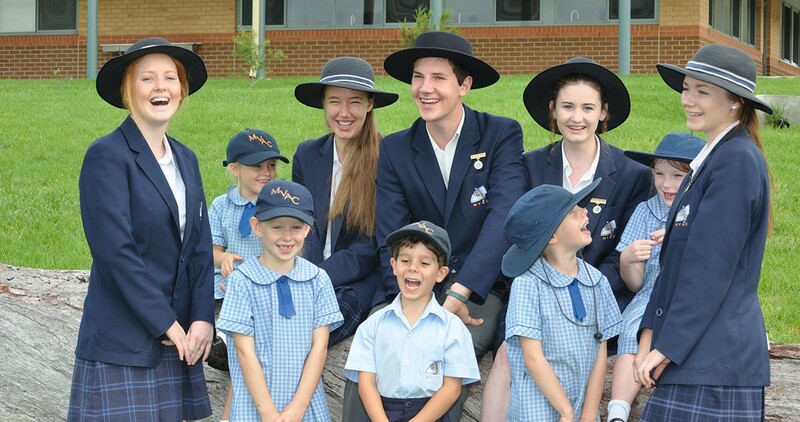 Manning Valley Anglican College has designed its student management with the aim of using it to teach College students right from wrong and to teach them how to live according to Gospel values. This includes encouraging and rewarding good behaviour, in addition to laying down consequences for misbehaving or disturbing the learning of others. I hereby agree to work in partnership with the College and fully support the College’s policies relating to student management and discipline, and will at all times encourage my child / children to obey school rules and accept any consequence for breaking of rules laid down by any staff member, within the College’s Discipline Policy. I understand that the College reserves the right to suspend and / or expel any student who fails to comply fully with any principles contained in this statement. I understand that the uniform creates an easily identifiable brand for the College, and that students wearing that uniform are automatically considered ambassadors for the school. I hereby agree to provide my child / children with the full College uniform and actively enforce its use both at school and in the wider community, unmodified and in its entirety. I hereby agree to pay all fees for tuition, co-curricular activities and the supply of goods and services to my child / children, as determined by the College from time to time. If such fees remain unpaid I accept the my child / children’s enrolment may be terminated. If my child’s place is terminated we acknowledge that the debt to the College remains and must be repaid, including any interest and / or charges on the outstanding balance. I understand that all students who attend the College are required to attend a number of school events and activities, including special assemblies, carnivals, Presentation Night and others as determined by the Principal from time to time, as well as camps, excursions and field trips which form an integral part of the core learning experience. I hereby agree to actively encourage and support my child / children in attending and participating in College events. I accept that Information Technology forms a crucial part of a modern education and plays a key role at school. I understand that students will apply technological skills to solving a range of problems across all subjects. I also acknowledge that technology must be managed carefully in order to enhance education and not detract from it. I hereby agree to encourage my child to use Information Technology in accordance with the College’s IT policies.